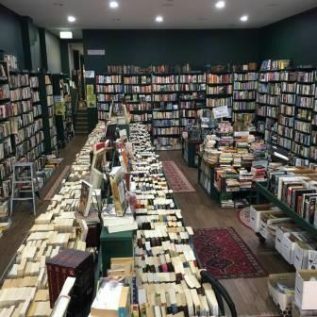 Since 1973, Elizabeth’s Bookshop has been a haven for booklovers, providing quality second hand books covering a multitude of categories, including Australian history, art design, business and commerce, education, fiction, photography, music, and much more. The books are in good condition and very reasonably priced. If you’re someone that has trouble choosing, why not go for Elizabeth’s Blind Date with a Book. You purchase a book without being able to judge it by its cover, because it’s wrapped in brown paper with only cursory information written on the outside. But if even that is too challenging, you go online.